Closer to home, for me at least, is an interesting situation where a local photographer is threatening a lawsuit against another photographer for what he considers a breach of copyright. Essentially the complainant has a particular technique of photographing plants. The technique is certainly distinctive, but is by no means unique, particularly as there are examples of a very similar technique in botanical texts which started using photography 150 years ago. In particular there is Anna Atkins cyanotypes which made up the first photographically illustrated book in 1843. At any rate the photographer being accused of plagiarism has taken to social media seeking advise. According to her account, she didn’t even know that the complainant photographer even existed, let alone that she was aware of his work or actively copied him. What this points out is that different photographers can have similar ideas, both of which are born from ideas that came before (I tend to believe her, especially having seen the complainants imagery and similar work in the archives of both Getty and Alamy images). Now let me turn the circle to landscape photography; my particular interest. On the recent Composing The Dunes workshop in Namibia I was drawn to the fact that almost every aspect of some of our locations have already been photographed. Not just that the images had been photographed before, but that they had been photographed before in identical light, with identical compositions. A quick iPhone grab shot that I created and posted to instagram elicited several comments of “I have stood in the exact same spot” and “I have the exact same photograph”. Never mind the fact that I personally ‘discovered’ the scene and created the composition without having seen it before (although to be honest there is the possibility that I had seen the image in some or other magazine or on some website somewhere and subconsciously ‘recorded’ it into my memory). Literally, just a snapshot from my iPhone while waiting for a time-lapse to complete, the response on social media was essentially, "hey, I have the same photograph"
Try the Fish River Canyon, Dead Vlei and even Spitzkoppe. All of these iconic locations have the same problem. There is nary an angle that hasn’t been photographed before. Now think of some of the truly over photographed vistas and subjects, such as that of the Yosemite Valley (first made famous by Ansel Adams’ masterful black and white imagery which ironically is now commented on by those who know too little as being cliche’ed), the Eiffel Tower, the Big Ben and London Bridge. So why bother? Why take the effort to create when the creation has already been created. Surely somebody has done this before? What’s the point then? To the same effect, why bother creating images at locations that you have previously visited? To me the answer can be both simple and complex. Putting it simply, just because something has been seen or done before, does not mean that you cannot get reward from discovering or doing it yourself. Everest has been climbed, but this doesn’t detract from your own ascent and the difficulties overcome in climbing the mountain. Sure, maybe the composition has been created before, but if I didn’t see it, or actively copy, it still makes mine ‘original’ in so many ways. Now look at Apple (the company, not the fruit). Like Microsoft, they have made their success not from originality, but from copying others. Their success doesn’t come from directly copying their competitors though, it comes from improving and refining their competitors attempts. Every product that Apple brings out is not innovative, it is simply improved to the point that it makes the early adopters and innovators inadequate (how they manage to get away with this is a mystery). Then to add insult to injury they promptly go and patent their product as if the original idea was theirs in the first place (I am a firm Apple user incidentally, so the criticism comes from within the camp so to speak). The simple act of knowingly copying is perhaps less rewarding as an artistic venture. However, the act of refining, recreating, reworking and blending with other ideas is a truly creative act. The best artists are copyists. There is also the point that the photographer can be like Apple; copy but perfect. Sure the image has been created before, but you can strive to surpass in style over the iterations that have come before. You can make your image special in some way. 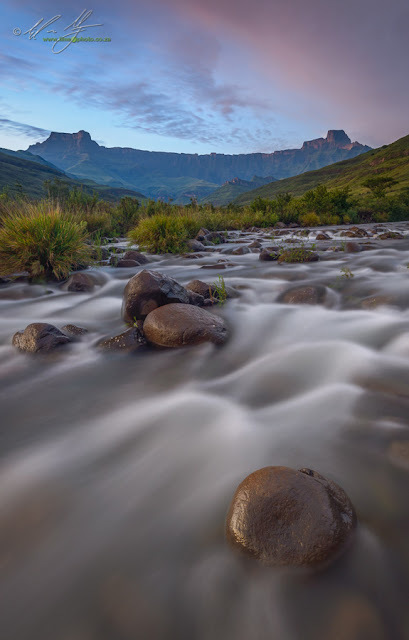 The Drakensberg's Amphitheatre from probably one of its most photographed aspects. Despite this I never get tired of shooting from this vantage point. Every time there is something different about the way the mountain looks, be it as a result of the clouds, the light or the changing seasons. This doesn’t mean that pure plagiarism should be accepted mind you. Inspiration and copying are closely intertwined. So close that sometimes it can be difficult to decide if a work of art draws inspiration from another or whether it flagrantly copies. 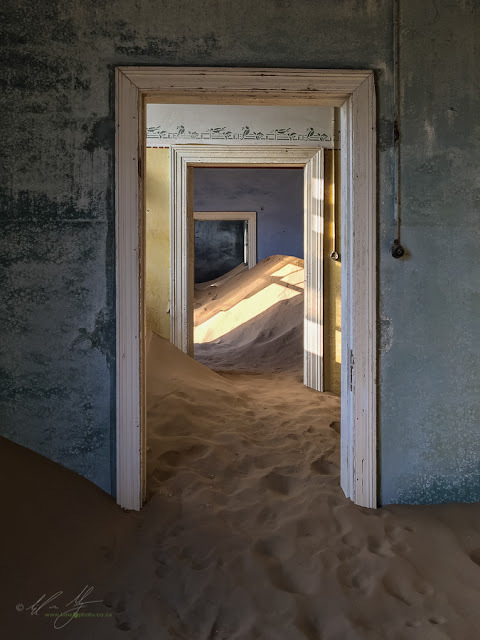 One of the guests on the last Composing The Dunes workshop pointed out that she preferred not to look at images from the places we would be visiting (Dead Vlei in particular) so that she wouldn’t be overly influenced by what had been photographically created before. As a result her images are extremely rewarding to her since she discovered them on her own. This is a valid point. Are her images uniquely different to the thousands that have already been published? Possibly not, but they are new to her, and as a creative act, that is extremely worthwhile. In a nutshell, re-photographing a scene that has been photographed dozens if not hundreds of times before, is not an exercise in futility. We bring to the scene our own interpretations, technique and skills that are potentially different to those that have photographed the scene before. The passage of time and the movement and play of light also ensure that although similar, images do indeed differ in small but often very important ways. Finally, if we create imagery as part of an aesthetic way of seeing the world, it does not matter if similar images have already been created. Part of the photographic process and journey is inherently personal. Discovery and creation of images can take place on this personal level and be extremely rewarding. That said, I suspect chasing another photographer's tripod holes might be slightly less rewarding. It comes down to what the photographer, as an individual, wants to get out of the photographic experience.